Midwest Tents & Events - Your event partner from start to finish! 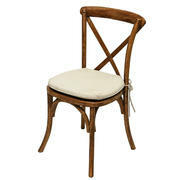 Beige folding chairs are perfect for indoor events! These chairs are for indoor use only! 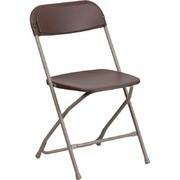 Brown folding chairs are perfect for backyard parties, festivals, and fairs! We do not recommend using these chairs indoors. 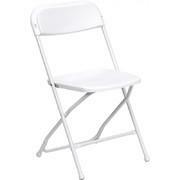 White folding chairs are excellent for weddings, bridal/baby showers, and backyard parties! 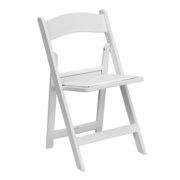 White garden chairs are perfect for weddings and other up-scale events. 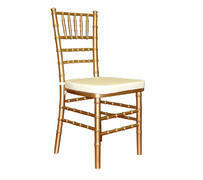 Gold chiavari chairs are perfect for high-end events such as weddings and banquests. 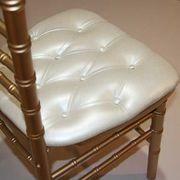 Our ivory tufted cushions are just what you need to take your chiavari chairs to the next level of elegance. This charge is for chair setup/breakdown. Price includes setting up and taking down chairs within 50' of our delivery truck. 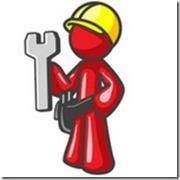 A quantiy of one represents one chair set up and taken down at your event. To have twenty chairs set up and taken down, add a quantiy of twenty. This charge does not include chair rental! Chair rental is a separate item!